April 2017 Update - The Latest News from LemonRock team! April 2017 Update – The Latest News from LemonRock team! So the 2017 motorcycle touring season has started! Recent weeks we’ve had really fine weather and so lots of opportunities to get out riding. 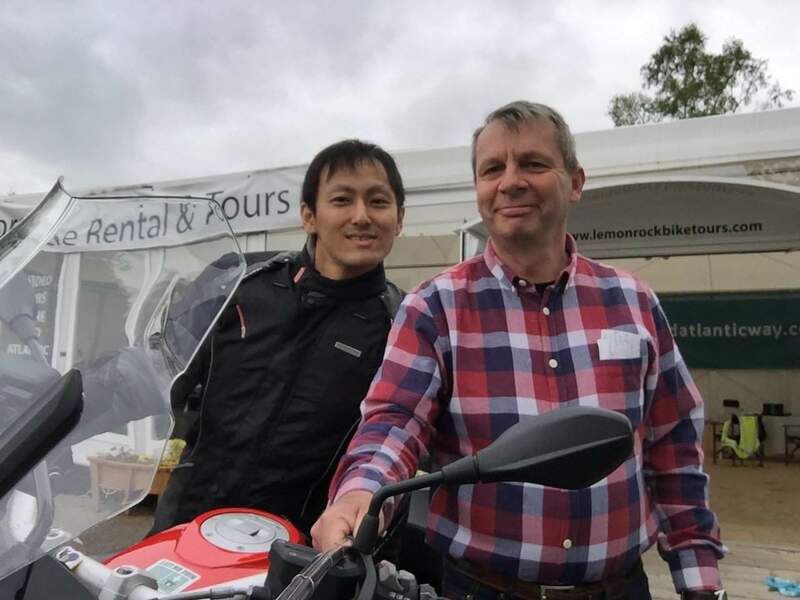 We’ve been busy preparing our showroom and bikes for the season and booking hotels for our customers. Visitors to the Wild Atlantic Way is already up on last year and the signs are easy to see. Hotels are getting book out fast! 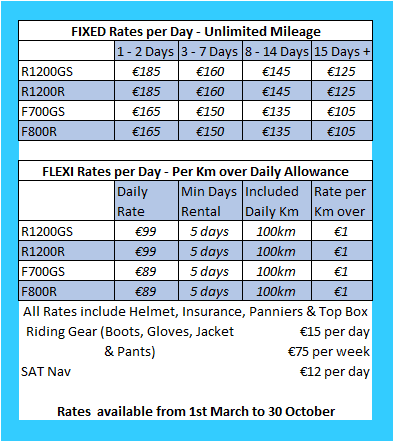 So if you are thinking of riding in Ireland this summer. Especially in a larger group, you’ll need to get moving and your hotels locked down. 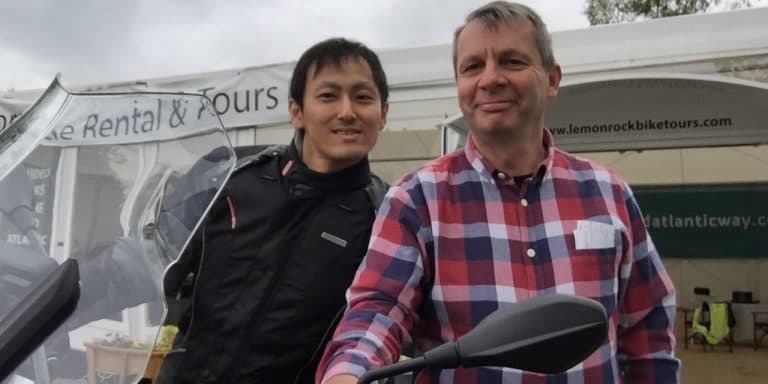 We’ve already had quite a few international travelers take our bikes, but Shohei, pictured below, is the first from Japan! The Ring of Kerry is a firm favorite for riders. As always, we recommend riding clockwise around the Ring as coaches are obliged to drive counterclockwise. It’s a busy circuit, but with scenery to warrant it!. We have plenty of different routes programmed int our bikes Sat Nav’s systems. Which take you to places most tourists don’t see.